Early February sees the conflation of a number of feast days: tomorrow is both Candlemas and (in the USA) Groundhog Day; soon it will be Lunar New Year, but today, on February 1st, it is St Brigid’s Day. St Brigid’s day is a time for purification and the rediscovery of creativity. 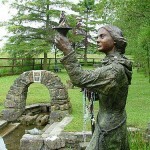 Most of Brigid’s miracles had a maternal quality, often involving milk. But she is also known for the poem attributed to her longing for a lake of beer to share with women, men and God. 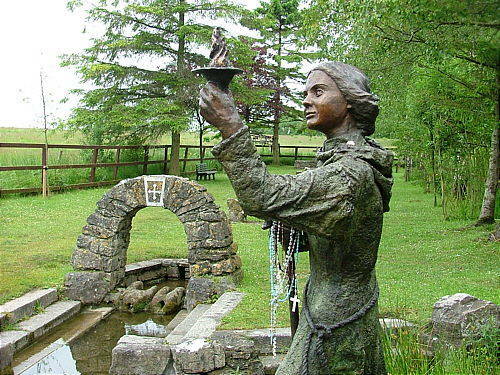 One should, perhaps, bear in mind that ale, in Brigid’s time, was far weaker than it is today, and that as water was not always safe for drinking ale, for those who could afford it, was the drink of choice. So her prayer is not so much a Dionysian dream, more a vision of safe food and nurture for all. Still, an eternal party without a hangover is a pretty nice image of church. And, as it coincides with the Super Bowl this evening, I think one or two celebratory beers may be drunk. Samuel Barber’s setting of this is one of my favorite pieces to sing – it’s a terror for the pianist, but definitely captures her joy and fervor!